For more freedom, adapt your vehicle to transport your power chair or scooter. 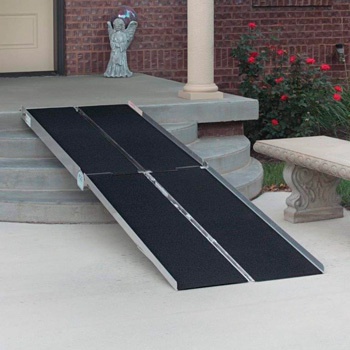 Make your home or business location wheelchair accessible with high-quality ramps. Your wheelchair, mobility scooter or power wheelchair can ride in style in a vehicle lift from Free Spirit Mobility! 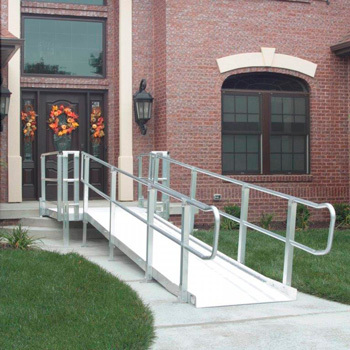 Professionally installed aluminum ramps provide safe access to your home. No room for a code compliant ramp? 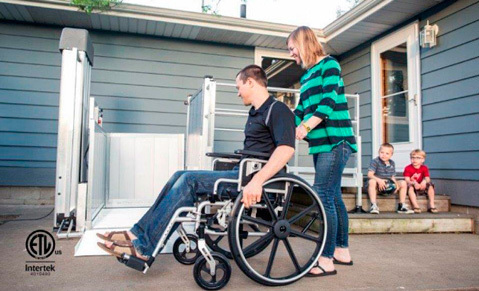 A porch lift, or elevating platform lift, provides ground to level entry access with the push of a button. 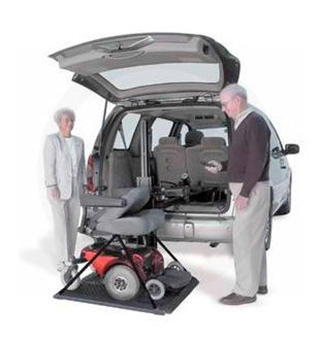 Some mobility options to consider are included here. You finally invested in that mobility scooter or power chair and you’re ready to head for the mountains or the coast. Or maybe to see that special grandson hit one out of the park, or that beautiful granddaughter walk down the aisle! 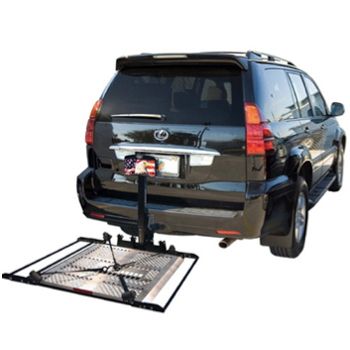 Whatever your destination, WE are ready to install a lift on your vehicle to transport those new wheels. Inside mount or outside mount, swing-away or fixed, auto or truck, we’ll make sure you have the right lift for your specific vehicle. Safety first! An automatic docking base allows the user to independently lock his or her wheelchair into place. No more struggling to cinch the straps down! We do our best to make it easy for you to meet your mobility needs, whether you’re driving or just enjoying the ride. Now! You’re docked and locked, seat belt secure, fuel in the tank…time to hit the road. 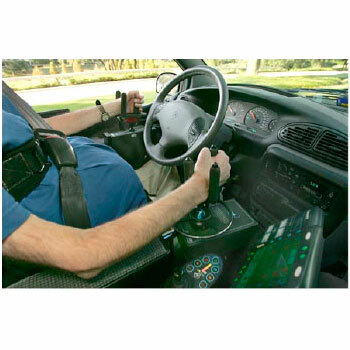 Easy-to-use hand controls make driving simple…just push forward to brake and pull down to accelerate. Our wide selection of steering controls puts you in command of your vehicle, enabling you to enjoy a driving experience that minimizes fatigue. Freedom! It’s an essential part of an active life. Did you know? ADA code specifies ramps to be installed at one foot of run for every 1 inch of height? That means, if your porch or deck is 4 feet high, ADA requires 48 feet of ramp! That’s a lot of real estate! 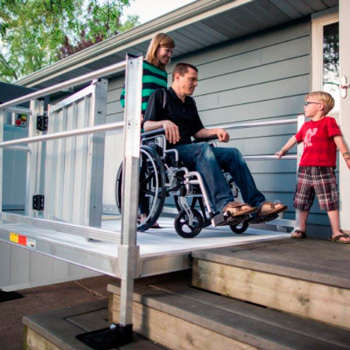 There is an option however; think about a porch lift, technically called a Vertical Platform Lift, or VPL for short. 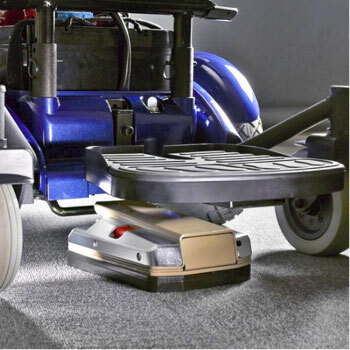 Tidy, compact…and not 48 feet long! Always a perfect choice when height and rise are minimal, ramps come in all sizes and styles. Compact suitcase-type folding aluminum ramps, available as purchase as well as rental, are perfect when your need is temporary. Longer aluminum ramps, and those with complex landings and turns require our professional services for evaluation, design, and installation. Call 864.877.8566. We can help!